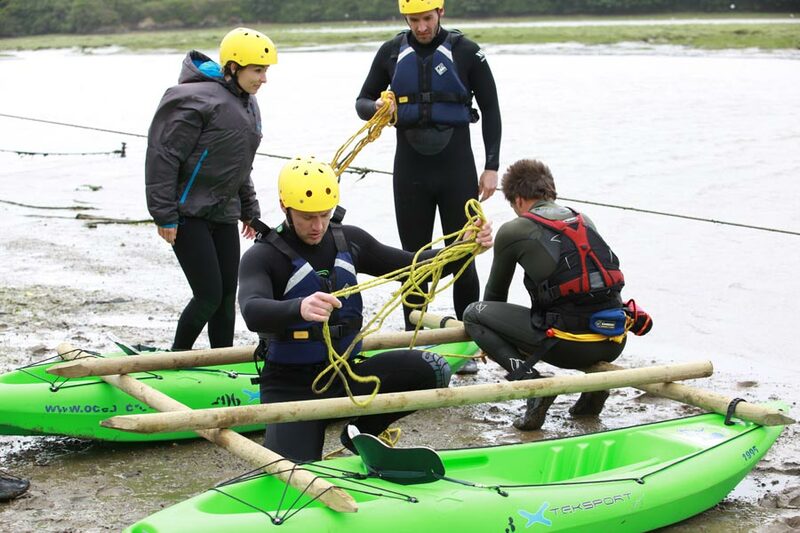 Raft Building is a brilliant activity that everyone can have a go at. 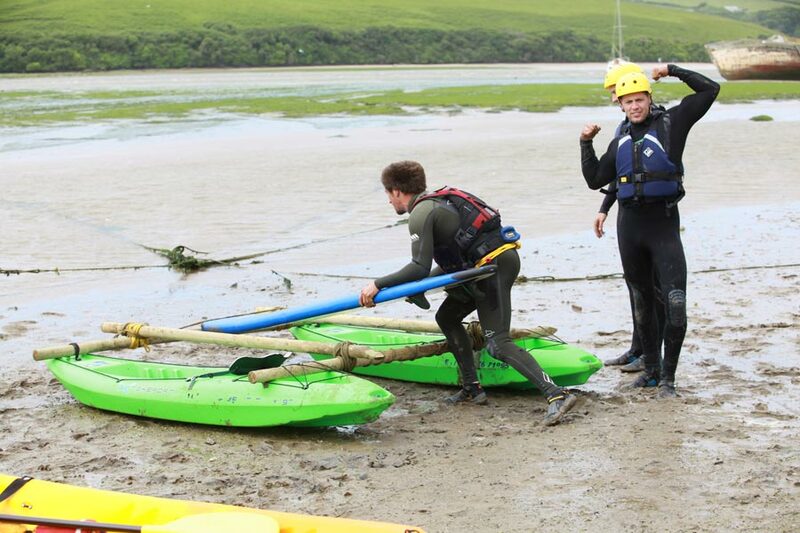 The challenge is to build a raft, float it and paddle it around a course. 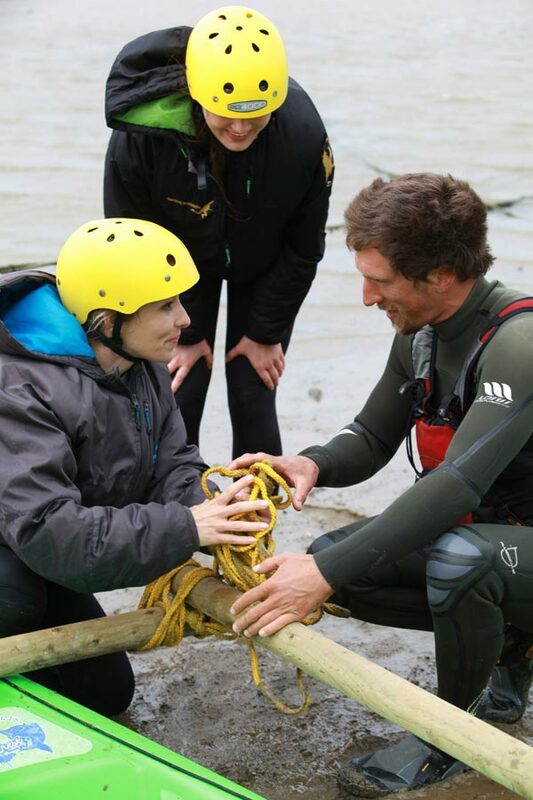 The key aim is to build a raft that can carry the whole team across a body of water without falling apart. 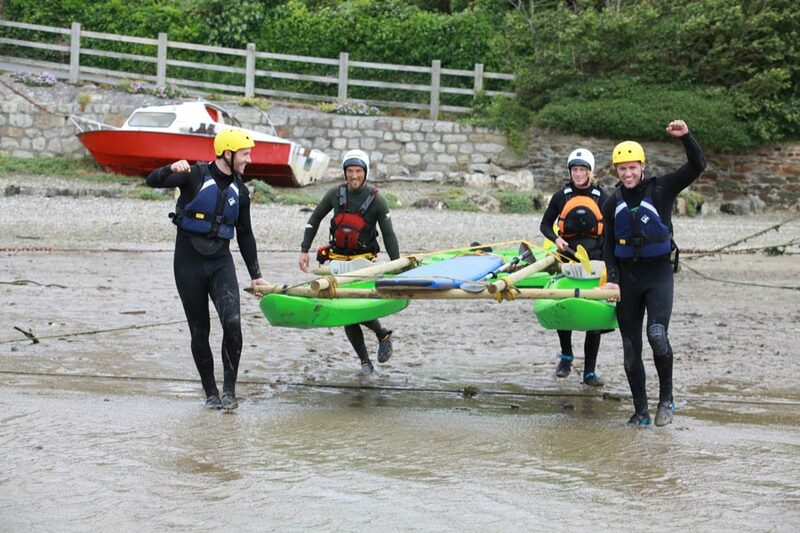 If there is a big group then we can build two raft with two teams and have the ultimate raft race at the end of the building period. This is a great team building activity that everyone can take part in. We can make it as hard or as easy as you wish, we can include rules and restrictions to make the challenge even harder. 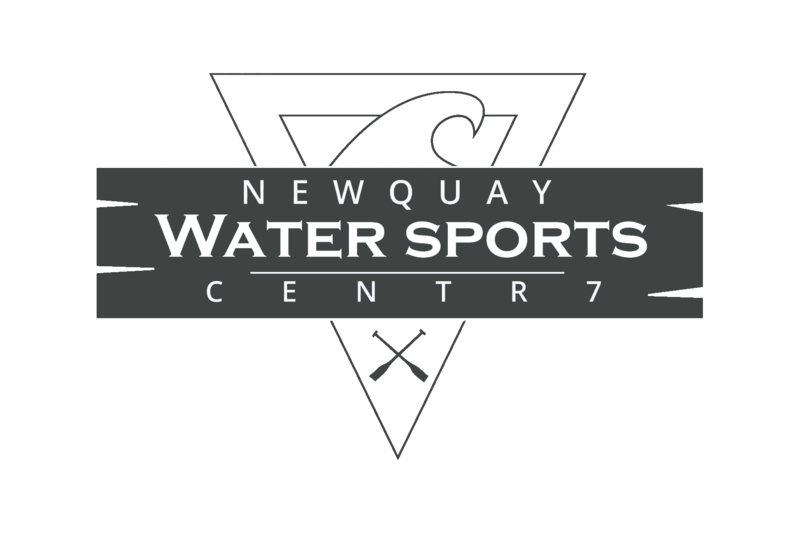 We are ideally located at Newquay harbour with all the facilities you require. 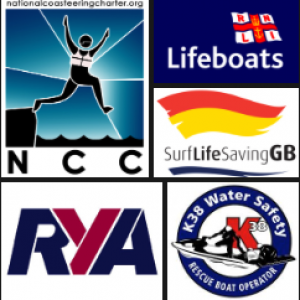 Come and meet up at our office and well kit you out with everything you need before heading across to the harbour to start the raft building session. Everyone, young and old. 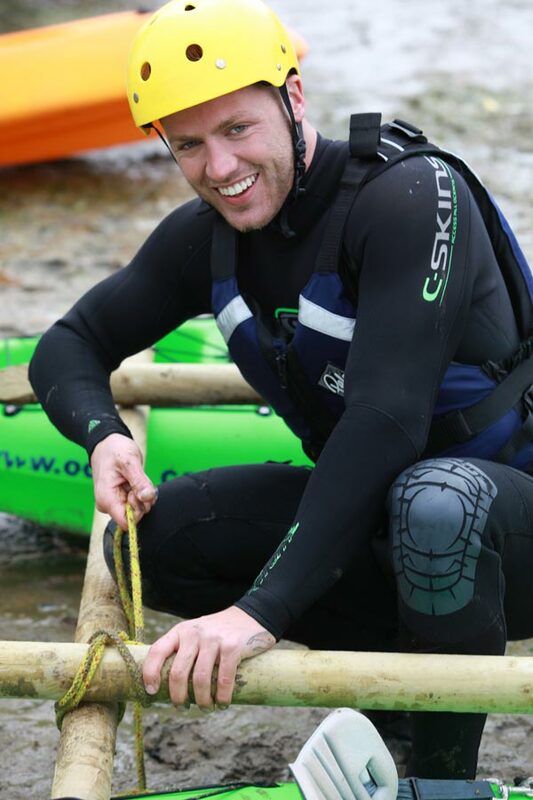 All you need is enthusiasm and want to have some fun, building and splashing around in the water. 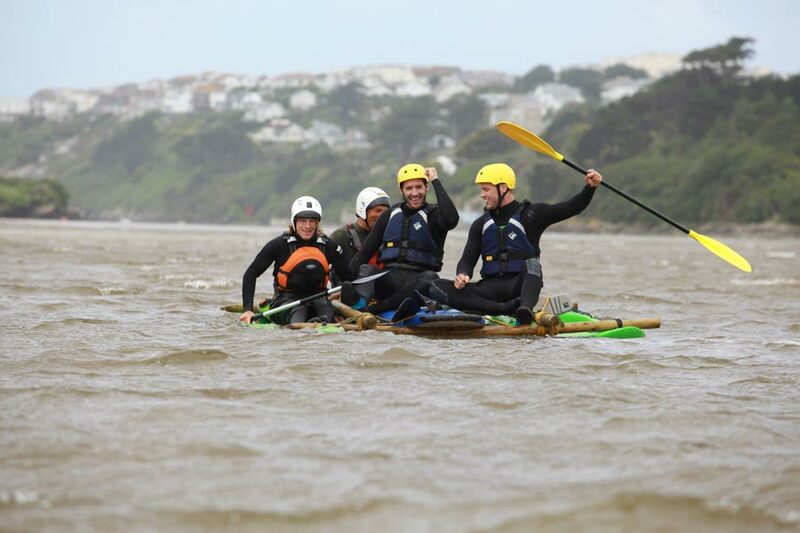 All equipment + instructor guide included in this unique team activity. 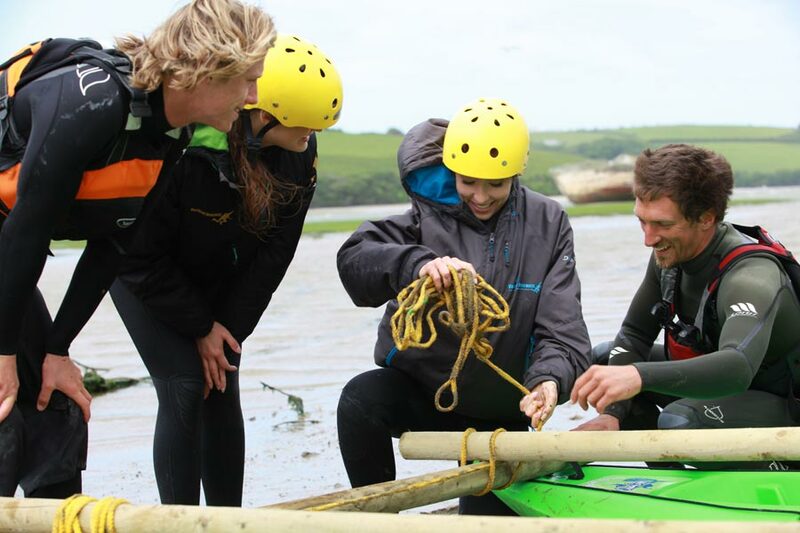 Great for all groups and families, as you take on the pirate challenge you will be challenged to various tasks to achieve and win your materials to then build the ultimate raft, compete and race to the finish. 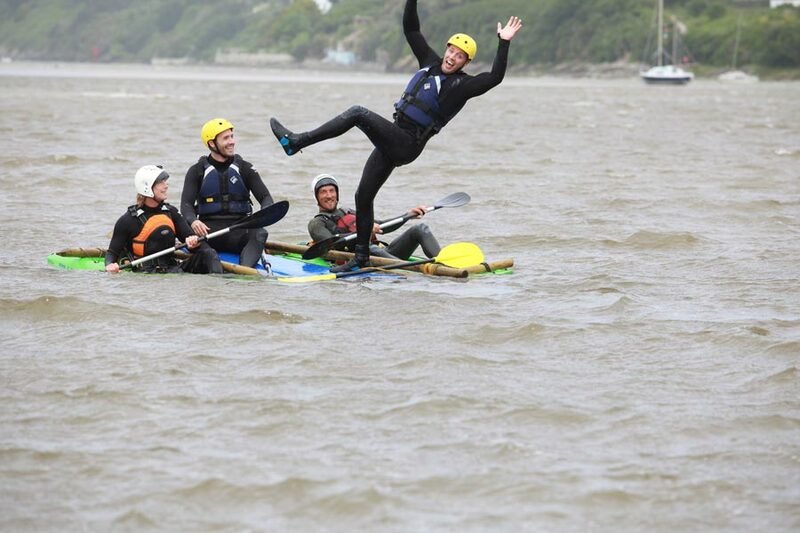 Fun packed group activity water adventure.